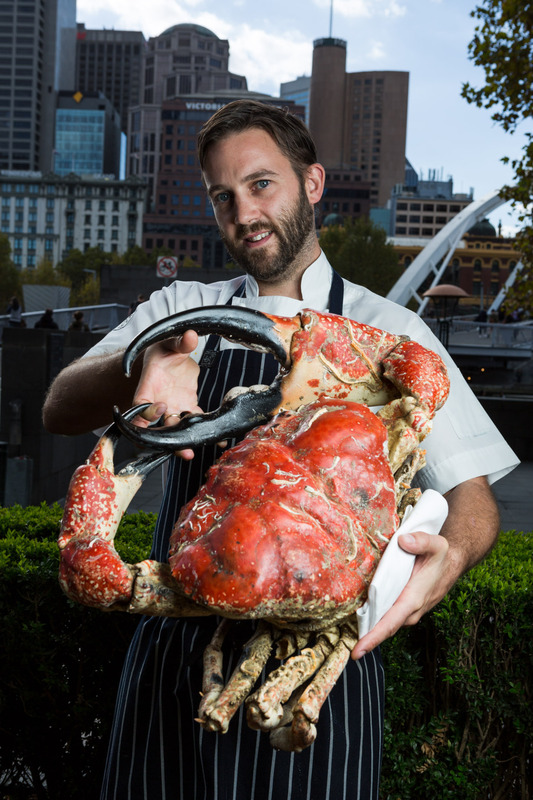 From the deep, cold waters of the Tasmanian continental shelf comes this delicacy of the deep, Tasmanian King Crab. We work pretty hard to find the best produce, and we get to some pretty crazy places and find some ‘different’ products, but even we are still gobsmacked occasionally. Before you ask, Yes they are alive, and yes the boys are nervous. The King Crab could crack off a finger pretty easily. Blair (far right) looks most composed, maybe because he is a Tasmanian lad. 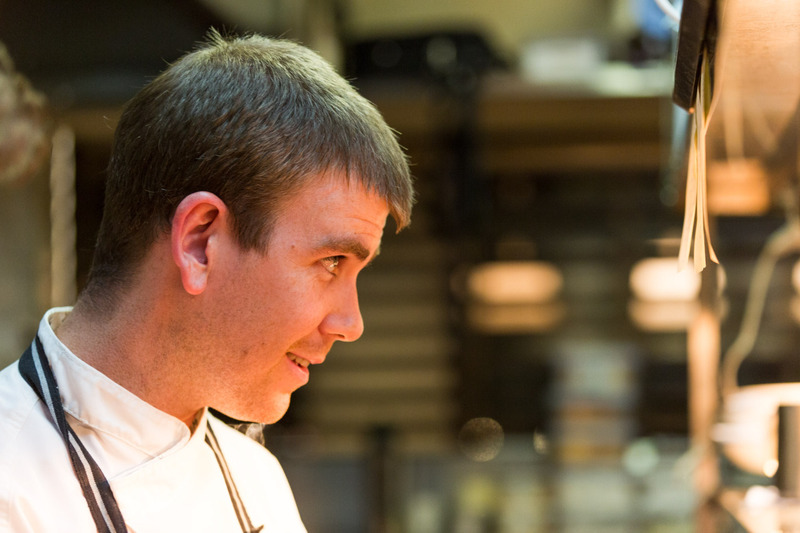 Blair Embrey grew up on the North Coast of Tasmania, and learnt to cook in Strahan and St Helens before crossing Bass Strait to join ‘Vue de Monde’ in Melbourne. We are happy to welcome Blair to the Pure South family after most recently working abroad at the well regarded Royal Albert Hall in London, UK. 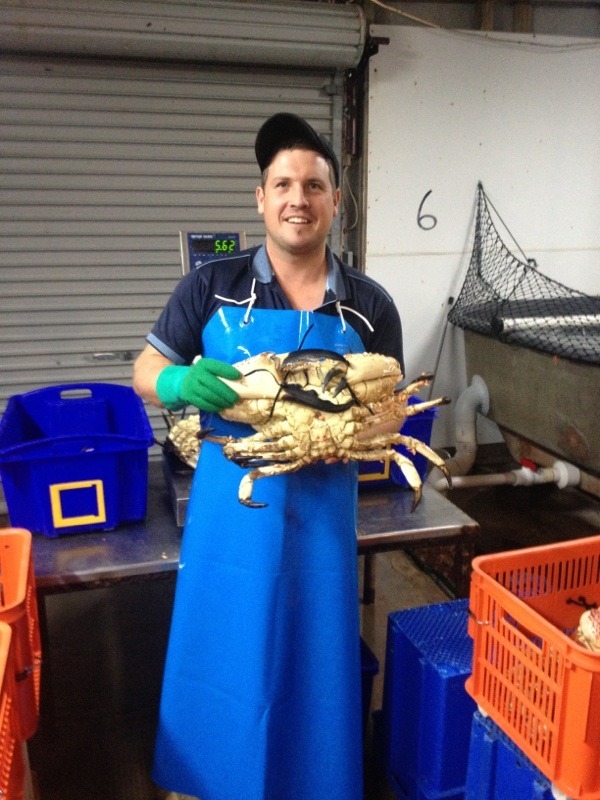 The ‘Tasmanian King Crab’ is the largest of all Australian crabs and are fished ethically and sustainably. The species has been commercially fished under strict rules in Tasmanian waters since 1992. King Crabs are reasonably plentiful and are found between 90 to 150 metres deep in the Bass Strait, off the east coast of Tasmania on the edge of the continental shelf. It can weigh over 13kg and measure 36cm across the body and have arms with giant pincers around 46cm long. Chef Ashley Davis has used them on the menu in a classic dish with house-made tagliatelle, and even an old school giant vol au vent. The meat is so clean, sweet and delicious that you don’t want to mask the natural flavour, but rather lift it with the right garnish. 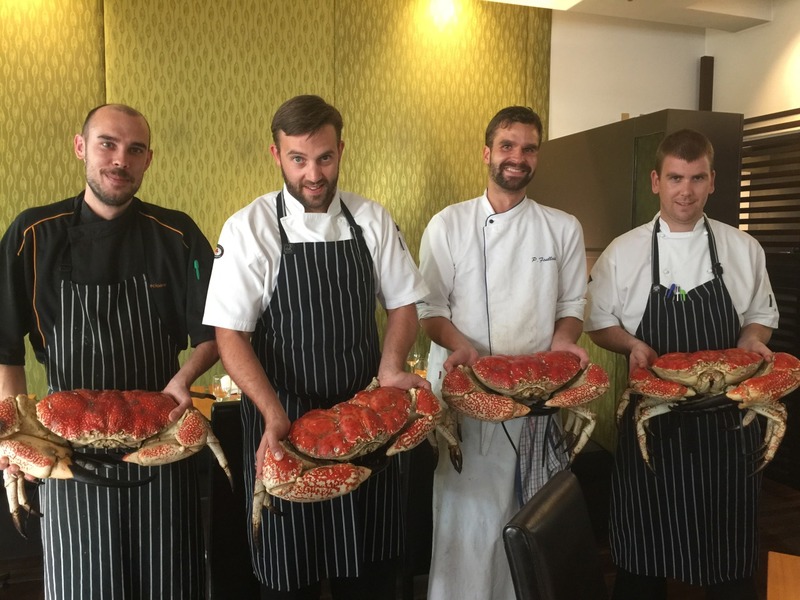 We hope to have them coming into the kitchen until the King Crab season ends in early June. Crabs can be steamed, poached, pan-fried, grilled or barbecued. Want a few tips for live crabs? We recommend putting live crabs in the freezer or immersing them in saltwater-ice slurry for a minimum of 20 minutes before cooking or cutting. This ensures he is asleep and there is no pain. Don’t try to pick raw crab meat; it’s almost impossible as the flesh is too fragile. For squeaky clean crabmeat, place sleepy-chilled whole Crabs in a large pot of rapidly boiling water, that has been well salted (½ cup table salt to 2.5 litres water), for 8 minutes per 500g up to 1kg, or 5 minutes per 500g for larger specimens (timed from when the water returns to the boil). Refresh them in iced water then twist off legs and claws, crack and remove the meat with a Crab pick or cocktail fork. Best served with Tasmanian Fizz ! !